Although it is free and will be free forever, AbcRecorder is more powerful than many expensive Nokia call recorders in the market. Record phone call automatically or manually, save important conversations as your will. 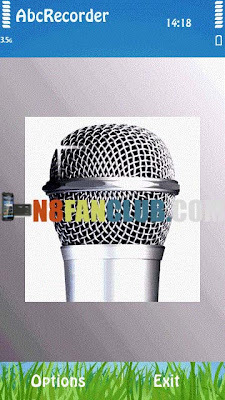 Record voice memo, meeting, lecture etc, make your phone as a dictaphone. Manage recorded clips, search, play back, view, delete, copy, move, send etc. You can turn beeps on or off. All devices can use hotkey to start/stop recording conveniently. Automatically send clips via MMS/Email. Manuallly send clips via MMS/Email/Bluetooth/Infrared. Privacy protection, prevent other software (for example the media player etc.) to access your recorded clips. User friendly, easy to use. Support English, Spanish, Italian, Russian, Chinese. Compatible with S^3 / Anna / Belle Smart Phones.